Want to give it a try? Select your platform below. 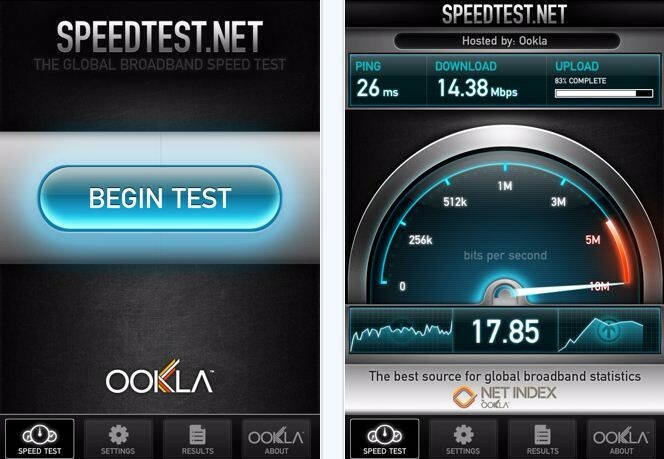 Ookla Speedtest puts the most sophisticated broadband testing and analysis tools into the hands of anyone interested in finding out just how connected they actually are. This free service from Ookla opens hundreds of testing locations around the world to anyone curious about the performance of their Internet connection. Use our service to view your service's performance history, then share and compare with others near you - or around the globe. Performing over 50 million tests every month, Ookla Speedtest is the global standard in Internet connection testing. Available on the web and on the iPhone and Android mobile platforms, the data collected powers the unparalleled global broadband statistics site Net Index where you can browse top bandwidth speed by country, or narrow down statistics to very specific locations. Get even more information on the Developer's Site. 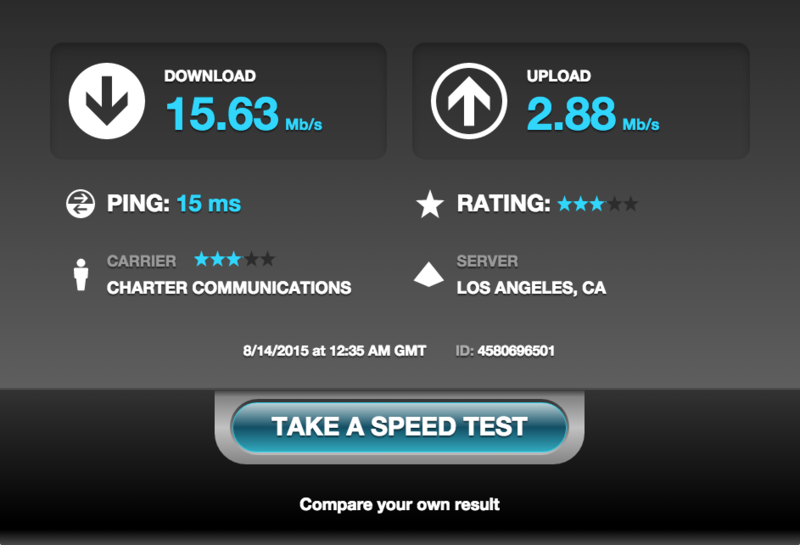 I use SpeedTest to do all sorts of diagnostics. Obviously, I use it to confirm bandwidth following a new network installation. In addition to that, during more complex wireless setups, I like to use it to verify network performance in all areas that the end user wants to use wireless devices. It gives me an idea of overall performance in each room of the house or office as well as a quick survey of the networks capabilities and reliability. SpeedTest is also usually my first test whenever someone is concerned with wireless interference. If my diagnostic device running SpeedTest has no issues reliably connecting to the wireless network in the same physical location as the machine in question, typically, the problem exists at the device level rather than the network level of the customer's setup. 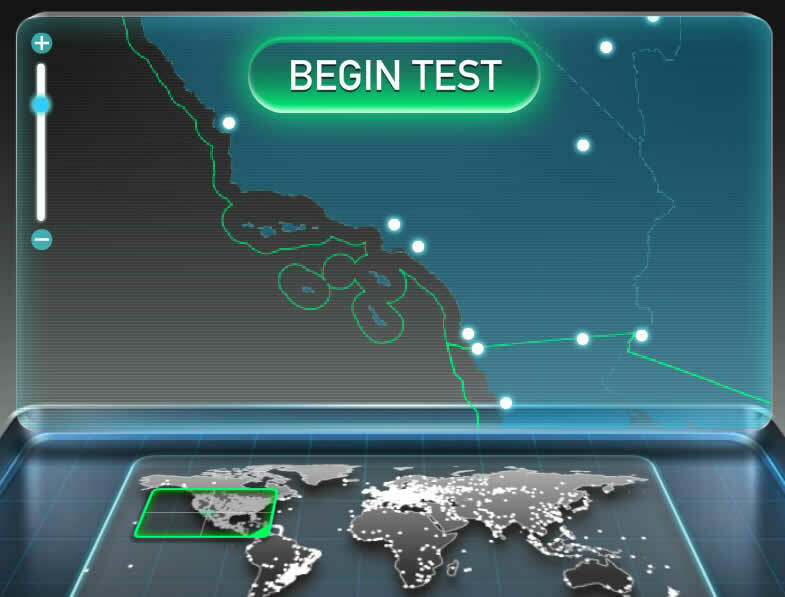 The ping speed element of the test also gives me an idea about general wireless interference and network reliability. If I see a long ping time on this test that isn't present closer to the locations primary wireless access point, I usually need to install some form of wireless extender/repeater to provide a more reliable connection point for devices in that area of the customer's location.